Direct mail campaigns are a surefire way to reach your existing clients, as well as the ones you’re trying to get. 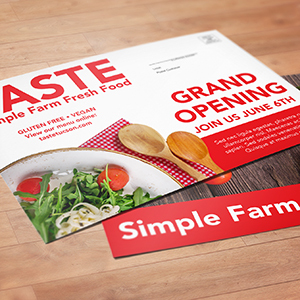 Whether in the form of a small postcard or something more elaborate, direct mail speaks to the audience you want to talk to. Target a specific zip code or demographic with our mailing list acquistion and mailing list managament services, and get your message to qualified prospects for a return on your investment that will make you wonder why you didn't do this before. We provide complete direct mail services that include printing, mailing and everything in between.